The Star: 50 pairs of FREE GSC Movie Tickets to "Love Is ... Pajamas"
Screening location: GSC Tropicana City Mall, Petaling Jaya, Selangor. How to get FREE tickets to "Love Is ... Pajamas"? 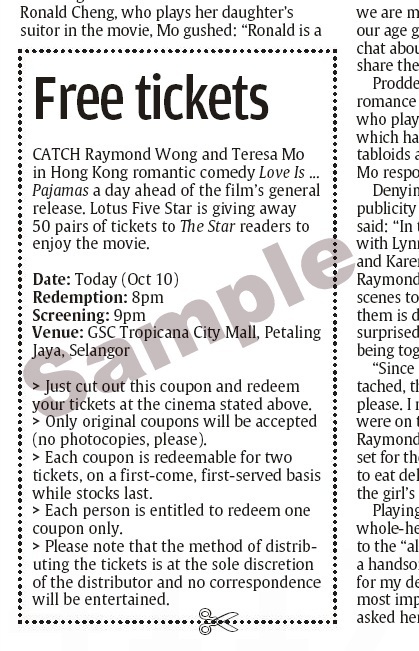 Just cut out the coupon from The Star newspaper (10 Oct, Star2, page 17) and redeem your tickets at the cinema stated above.